Like bandages and fire extinguishers, flashlights are the type of tools that you may not really need every day, but when you do, having one around can be a literal lifesaver. Whether you’re checking leaks around the house, examining the misbehaving engine of your car or a flat tire after dark, taking your dogs out for a walk in the evenings and so on, having an accessible and portable source of light you can whip out and use where and when needed can have multiple, immensely helpful applications. 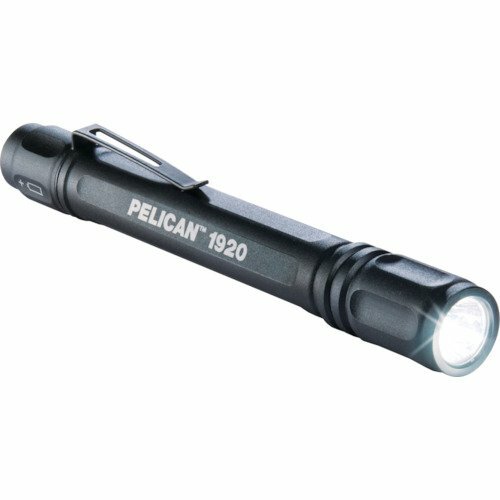 And while tactical flashlights built to military-grade standards and likely capable of lighting up everything within your immediate radius are definitely an overkill for everyday use, penlights are a great everyday carry (EDC) alternative to keep around, in the glove compartments of your car, your toolkit or first-aid box, in your kitchen or bedroom drawers, or simply in your pocket. Portable and lightweight, and designed for ease of use, these have the advantage of convenience over their bulkier, more cumbersome to carry flashlight cousins. Take a look at our picks for the best penlight for everyday carry. 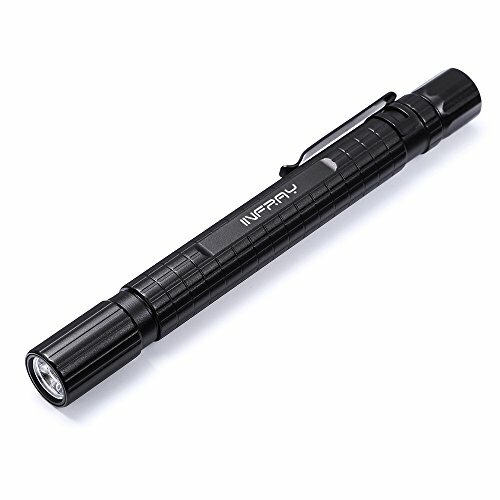 Reminiscent in size and shape to a marker pen, this heavy-duty penlight can be a lifesaver to have on you to handle emergencies or any situation that requires getting a focused beam of light somewhere otherwise difficult to illuminate. The slim and sleek construct make it just the ideal size to slip into the pen compartments of bags and briefcases, into your pocket, or to toss into the glove compartment of your car or inside a toolbox without eating up too much space. 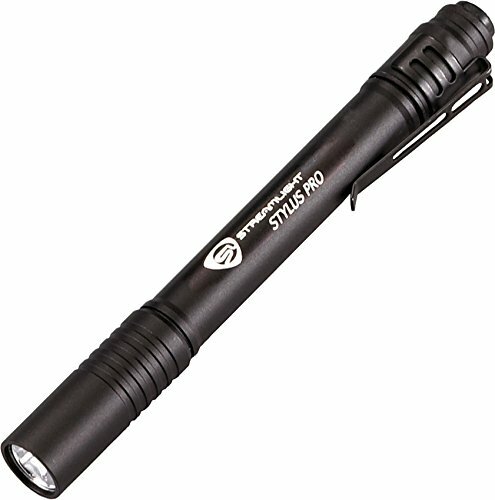 Despite the smaller build compared to many standard flashlights, this penlight nonetheless offers a maximum output of 160 lumens, with low, high and strobe settings, for multiple usage applications. Powered by two Triple A batteries (included with the light), the LED bulb of the penlight ensures a longer lifespan, brighter and more crisp light and better energy saving, ensuring you get the most use out of your batteries without having to change them too frequently. The rugged premium grade aircraft aluminum case with a graphite anodized finish make for both an attractive penlight but also one that can withstand outdoor and extensive use, promising longevity. Capable of throwing focused beams of light over as far as 230 feet to where it is needed, with a maximum output of 220 lumens, this pocket-friendly pocket flashlight does not fail to mightily impress us. An advanced reflector lets you adjust how focused and narrow you need your light beam to be, to illuminate an area at a time or a specific place or spot, making it brilliant for outdoor use and after dark as well as for jobs that require specific, thorough and up-close lighting. A brilliant option for not just everyday carry but for doctors and nurses, mechanics, and so on, the LED penlight is long-lasting, energy-saving, and features three adjustable lighting modes: high, low and strobe. Powered by two Triple AAA batteries, the penlight has a great run time of 7 hours on the highest setting, and 14 hours on the lowest setting. The sleek, lightweight construction of the penlight, with a metal clip to hook it in place when carrying or storing it, makes it absolutely easy and effortless to keep on you, be it in your pocket, bag, car or in a drawer at home, perfectly handy to whip out when needed. The premium-grade aircraft aluminum casing, abrasion and corrosion resistant, is rain proof and has scratch-proof polycarbonate lenses to make for a very durable and long-lasting tool. With a maximum output of 90 lumens, this penlight can throw a focused beam of light up to 58 meters and run for 6.5 hours at a go. The penlight is powered by two Triple A alkaline batteries, included with the unit, and has both a strobe feature, activated by holding the button down to keep the light on intermittently, as well as a fully on/off mode to throw a steady beam of light. Bolstered against breaking apart from being dropped or bumped about with impact resistance of 1 meter, and with IPX4 water resistance (which is not the same as waterproof – this degree of water resistance protects tools and gadgets from mild splashes), the penlight is ideal for use both indoors and outdoors. The anodized aluminum casing, scratch-resistant polycarbonate lens and slip-resistant rubber grip also enhance the hardiness of this unit, LED bulbs ensuring brighter light, better longevity and energy efficiency. The penlight comes with a tear-resistant nylon holster and a pen clip for securing and carrying. Giving you the best of both worlds, this penlight has the capacity for a maximum output of 120 lumens and a minimum output of 12. Allowing you to switch between high and low modes, the penlight is powered by two Triple A batteries, capable of running 9 hours continuously on low, and 3 hours continuously on high. 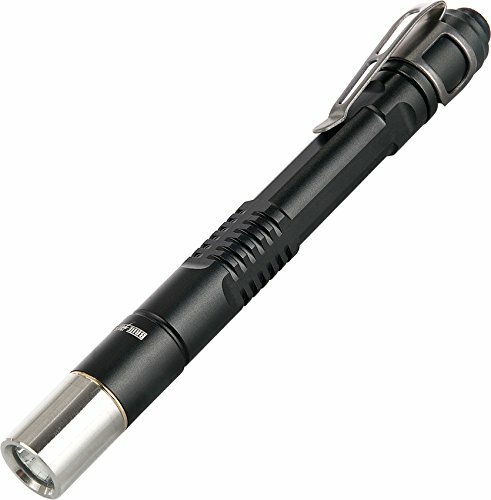 Featuring a sleek, rugged but lightweight body and of course a clip to let you hook it to your shirt or trouser pockets or a pen pocket in your bag, the anodized aluminum casing of the penlight makes it durable and capable of withstanding bumps and scrapes, the LED bulb of the light also ensuring greater longevity. Though a tad bigger than some sleeker and thinner penlight options out there, this is still appropriately sized to be a great everyday carry item without being too bulky and taking up too much space.